Team Rehab uk Ltd is a specialist Musculoskeletal rehabilitation company with clinics currently in both Moulton and Corby, Northamptonshire. We have proven ourselves to be at the forefront of rehabilitation across the surrounding counties through outstanding service, re-investment in our therapist’s continual skills development as well as purchasing some of the latest treatment technology on the market. We have strong working ties with many Consultants, GP’s and Allied Health Professionals across Northampton, Kettering and Leicester promoting high levels of care continuity and the correspondence needed to achieve this. We are also covered by all major healthcare insurers (except Nuffield Health) but would like to highlight the fact that more than half of our clients pay for their own treatment, so it is not just reserved for those with insurance. Explore our Moulton and Corby clinics further. Team Rehab uk Ltd is continually striving to bring new and innovative rehabilitation opportunities to our current and prospective clients across Corby and Moulton, Northamptonshire. After many months of submissions, panel interviews and courses, we are proud to announce that we have been awarded a sizeable small business grant, in recognition of our rehabilitation excellence and customer services, that will enable us to bring cutting edge technology and services that we would be otherwise unable to acquire, to our clinics. They will be rolled out over the next 2 months. Shockwave Therapy is a pro inflammatory treatment for a range of chronic soft tissue injuries/complaints such as plantar fasciitis, tendonitis, cramps & facet joint pain - but to name a few. The V-ACTOR applicator is used for vibration massage therapy. When applied to tissue, the vibration pulse can improve microcirculation, and enable elongation of fasciae and muscle fibers. It can also help to restore normal muscle tone. Footscan allows for accurate 2D and 3D analysis of static (static standing), balance and dynamic (moving) measurements, with the highest recording speed available on the market. This allows us to see greater detail and conduct a more reliable gait and postural analysis than ever before. Phits are the worlds first high-tech 3d printed insoles, designed specifically to you, from your personal dynamic gait analysis on our latest generation FootScan machine. Accurate to 0.1 mm in over 8 million corrective measurement combinations, you can be confident you are paying for only the most premium orthotics available today. Muscle stimulation is used in rehabilitation to facilitate the firing of muscles that are either weak, firing at an inappropriate time, or may have an inability to fire correctly due to underlying neurological injuries. Women’s Health Physiotherapy is the therapeutic treatment of all disorders affecting the pelvis and pelvic floor. Conditions including incontinence, prolapse and pelvic pain are all actually very common but as it can be an embarrassing topic most women just keep quiet and don’t know that help is available. ​At Team Rehab uk we believe that Communication & Experience can be all that stands between a successful intervention and and ineffective one. This is why in July 2018 we changed all of our 45 minute initial assessment and 30 minute followup treatment slots, to 40 minutes (includes physio admin time). To show our dedication to value we have however kept our treatment fees at the same rate. Explore our ﻿​philosophies﻿ further here. We recognise that in today's world, where time seems to be an ever reducing commodity, our clients must be able to access us easily. This is why we have purposely located ourselves on the northern edge of Northampton, in Moulton and within the newly extended Lakeside Health Complex in Corby. Both clinics offer easy access from the surrounding areas and large car parking facilities. Follow this link for information on how to contact us, or find us on google maps. We are currently exploring new possibilities for future satellite and permanent clinics and we would love to hear your ideas about where you think we be great to look. Do you live near to one of our sites but not quite close enough to attend, is your access to quality rehabilitation limited in your area, do you need access to some of our specialist therapists or equipment - join us on Facebook or twitter, with your ideas and reasons. Get the same advantages of those already attending Team Rehab uk near to you. 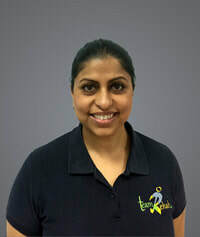 Putting a face to a name is always important but if you would like to know more about the Team Rehab uk Physiotherapists to just click on them. Remember, you can choose which specialist you see or you can leave it up to us, either way is fine as long as you are happy. In order to keep clinic fees transparent, at Team Rehab uk, we have fixed our costs across all sites for self funding clients. We also appreciate that sometimes you just don't have the time, or due to certain circumstances, are unable to call us direct to book your appointment. With our NEW online booking facility you can book the session with the physio you want, at the clinic you want and at the time you want (bottom of page). Do you have private medical insurance? - well, rest assured that we are registered with ALL of the major providers as well. We advise you to speak to your healthcare provider, before attending, in order to fulfill your unique policy procedures and ensure correct remuneration. You take your pet to a qualified vet, your gas boiler is serviced by a qualified CORGI engineer and your new car is serviced by official mechanics. So when it's your body that needs an MOT, or fixing, would you really trust any therapist that is not Chartered? All Physiotherapists at Team Rehab uk are registered with the Chartered Society of Physiotherapy (CSP) and Health and Care Professions Council (HCPC) so you can be sure you are in the best hands. But what is a physiotherapist and how can you tell if they are chartered or not - read on to be safe. 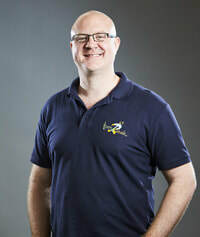 Mr Chris Heywood, specialist physio & owner of Team Rehab uk, has worked as a spinal clinical researcher, since 2009, alongside Mr Nick Birch at East Midlands Spine. Part of this role has focused specifically on the development and publication of patient education material in both clinical and research settings. As a keen educator he is an advocate of providing access, to quality and accurate information, to clients of Team Rehab uk, and those beyond encouraging elements of self-care where possible. ​Join us in the Rehab Cab for your own journey of exploration as our library grows. Anna did an excellent job after I had back problems. Her treatment and exercise recommendations saw a huge improvement in a short time. I would recommend Anna to anyone needing Physio treatment. I came to Team Rehab a week after having hip surgery. Chris and Anna were great. I had both land physio and hydrotherapy over the course of a month. Treatment and facilities were fantastic. I would definitely recommend going to Team Rehab and will be back next time I need a physio! .... I am autistic and I also compete in kickboxing internationally so my needs can be different to others. Chris understands and is mindful of the differences I have in communicating and in my perception of pain and he makes me feel at ease. He explains everything clearly and sets out a clear plan for me to follow. I would recommend Chris and Team Rehab to anyone. ​Excellent service all round. Chris Heywood is an superb Physiotherapist, who takes the time to pin-point the exact issue and tailor the treatment accordingly. Anna is friendly and professional and helped me significantly manage my back pain. I wouldn't hesitate recommending her to anyone. I needed physio for a painful shoulder and Anna managed to sort this out swiftly . I was given exercises to do at home as well as receiving treatment during sessions. We are constantly adding new web pages to our site, each one based on a new topic relevant to our clients and their learning. We will keep a rolling list, as they are published, of the most recent pages for quick reference. For more topics visit the Rehab Cab setting where our growing library of content is available for FREE. Team Rehab uk was only established in 2015 however we have more than 55 years of combined clinical experience, primarily around Northampton, Kettering and Corby. Over this period we have built strong and lasting professional ties with many of the regions leading consultants across a myriad of specialities. Here is what some of them say about Team Rehab uk and our practitioners. 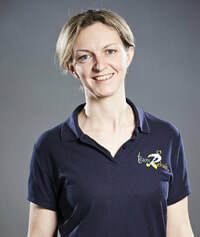 Team Rehab UK, led by Chris Heywood, is an efficient, effective and expert physiotherapy practice that I refer patients on a very regular basis. I have worked in collaboration with Chris and his colleagues for over a decade and have found them to be well-motivated and professional in their approach to patients and clinical colleagues. I wholeheartedly endorse Team Rehab UK and have no reservations in recommending them. Chris Heywood and his team are amongst a select group of physiotherapists who care for my patients with hip, knee and sports injury problems. These patients report an excellent service, and benefit significantly from his expert assessment and management. I have been very impressed with his results and the treatment he provides. Chris Heywood is a very competent Physiotherapist. We have known each other for several years now and my patients uniformly praise Chris’s approach and competence. I will have no hesitation in recommending him to my fellow orthopaedic consultants. I have known Chris professionally for around 10 years and during that time he has rehabilitated a number of my patients following shoulder and elbow surgery. Throughout that time I have found him very thorough, very personable and he communicates well with me as to each patient's progress. I can recommend Chris for physiotherapy without reservation. I am very happy to recommend Chris Heywood. Over the last few years we have shared a number of patients who have benefited from his up to date knowledge and wealth of experience in treating patients, particularly with spinal conditions. He is highly professional and has an excellent relationship with his patients. I would have no hesitation in recommending him.